Staples appoints longtime Boston Jewish community leader Shira Goodman as president and CEO. 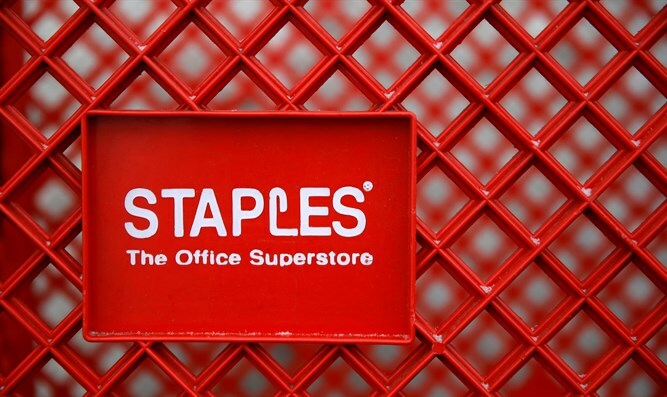 Staples appointed longtime Boston Jewish community leader Shira Goodman as the office supply chain's president and CEO following a worldwide search. Goodman, 55, had been serving in the top executive position on an interim basis since June following the departure of former CEO Ron Sargent. She will helm a company with nearly 1,900 stores and some 75,000 employees. She has worked at Staples since 1992 in various executive roles, including as president of its North American operations. The company's corporate headquarters are located in Framingham, a suburb west of Boston. Goodman is a member of the board of directors of Combined Jewish Philanthropies of Greater Boston and past president and ex-officio trustee of the Solomon Schechter Day School in Boston. A mother of three, she has been active in promoting Boston-area day schools for more than a decade. Gil Preuss, the executive vice president of Combined Jewish Philanthropies, told JTA that Goodman is serving as co-chair of its strategic planning process. In a follow-up email, he described her as an inspiring leader. “She is a leader who brings together her passion and understanding of Jewish life and the Jewish community with the knowledge and experience gained through her years in leading one of the top companies in the United States,” Preuss wrote. Goodman's appointment to the top post at Staples comes at a time when the company is seeking to redefine itself in a declining business environment for retail office supply marketing. A bid to acquire competitor Office Depot was struck down recently by the Federal Trade Commission because of anti-trust concerns. Goodman is a graduate of Princeton University and Harvard Law School. She also earned a master's degree in management science from the Massachusetts Institute of Technology.